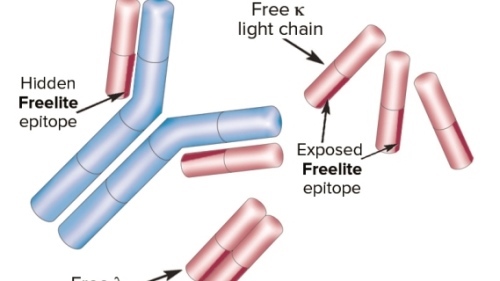 Serum Free Light Chain: Immunoglobulin light chains that are circulating in serum in a free state are called free light chains. The analysis of the serum level of FLCs became practical as a clinical blood test in recent decades. These tests are worn as an aid in the diagnosis and monitoring of multiple myeloma and related disorders. There are currently no items matching "Serum Free Light Chain".